Is Uber Reducing California DUIs? Could ride-sharing apps like Uber make a significant dent in the number of fatal accidents related to DUI in Los Angeles? Two students at Temple University are saying they already are. Brad Greenwood and Sunil Wattal wrote a paper investigating how the entry of Uber influences the rate of alcohol-related motor vehicle homicides. Their findings—shared in a paper called “Show Me the Way to Go Home: An Empirical Investigation of Ride Sharing and Alcohol Related Motor Vehicle Homicide”–show a significant drop in the rate of DUI homicides between 2011 (when Uber entered the California market in San Francisco) and 2013. 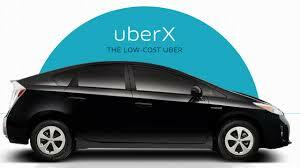 Uber X is the least expensive level of the Uber service. Greenwood and Wattal say that the affordability of the service (as opposed to more expensive taxis or higher levels of Uber service) is keeping the DUI homicide rate down. The Daily Signal story noted that police made only two DUI arrests in San Francisco over the 2015 New Year’s Eve holiday period, the lowest number since 2009. But those numbers didn’t hold up all over the state. According to an article last January in the Los Angeles Times, the California Highway Patrol made 219 DUI arrests in Los Angeles County during the New Year’s Eve holiday, up from 104 in 2014. Across the state CHP made 1,072 DUI arrests during the holiday in 2015 compared with 457 in 2014.